Panic Button has locked in another win! Fans tuned in on stream and sat patiently in Ontario, Canada during the TennoCon 2018 live keynote, waiting to see what new hotness was coming to Warframe. 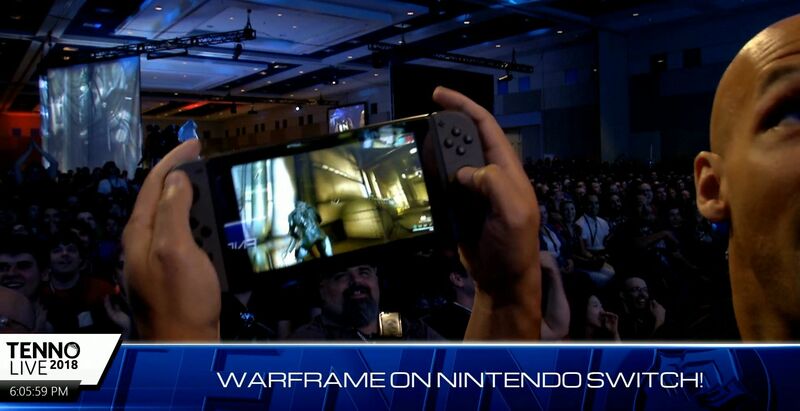 The event started out with the big reveal that Warframe is coming to Nintendo Switch. Please take a look at the brand new trailer. If you're not already one of the many ninjas playing Warframe, the free-to-play action game is available now on Steam, Xbox One, and PS4. Stay tuned to Shacknews for more updates and reveals from TennoCon 2018.